Head and facial pain encompass numerous conditions which can be debilitating and represent a significant health burden. 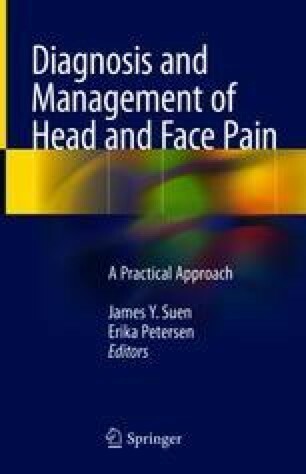 Conditions described in this chapter focus on more common neuropathic conditions causing head and facial pain. Many times, the etiology remains unclear, but having a general understanding of potential causes of painful head and face conditions can lead to early diagnosis and effective treatment strategies to help with improvement of quality of life and restoration of function. Evers S. Facial pain: Overlapping syndromes. Cephalgia. 2017;1–9. https://doi.org/10.1177/0333102417703761. Liu YF, Kim Y, et al. Burning mouth syndrome: a systematic review of treatments. Oral Dis. 2017. https://doi.org/10.1111/odi.12660.